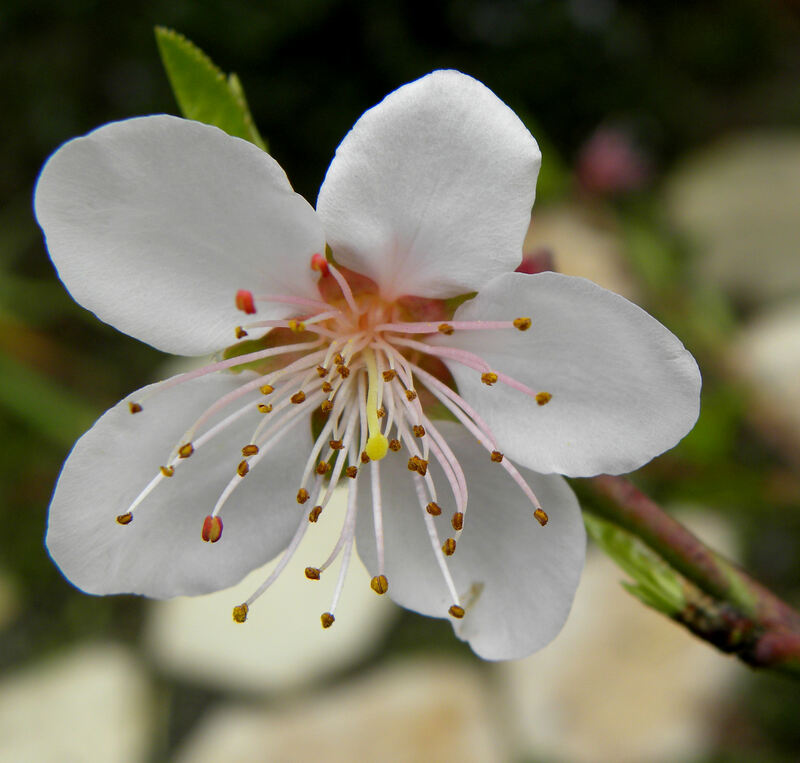 In addition to keeping a photo log of my veggie garden and fruit trees, I plan to post photos of what is in bloom in my coastal southern California yard each month. Some of my flowers bloom year-round, but others are definitely seasonal. These photos were taken Jan. 24. While the northern states are still buried under snow, spring is beginning here. 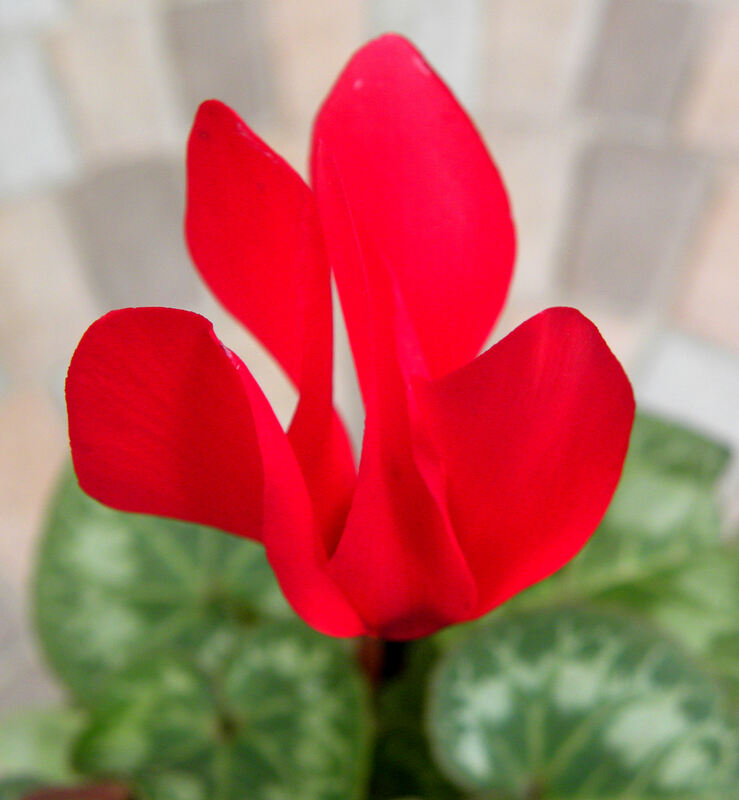 This little cyclamen is in a pot. I love the flowers so much that I think I'll add some cyclamen bulbs to my yard this year. 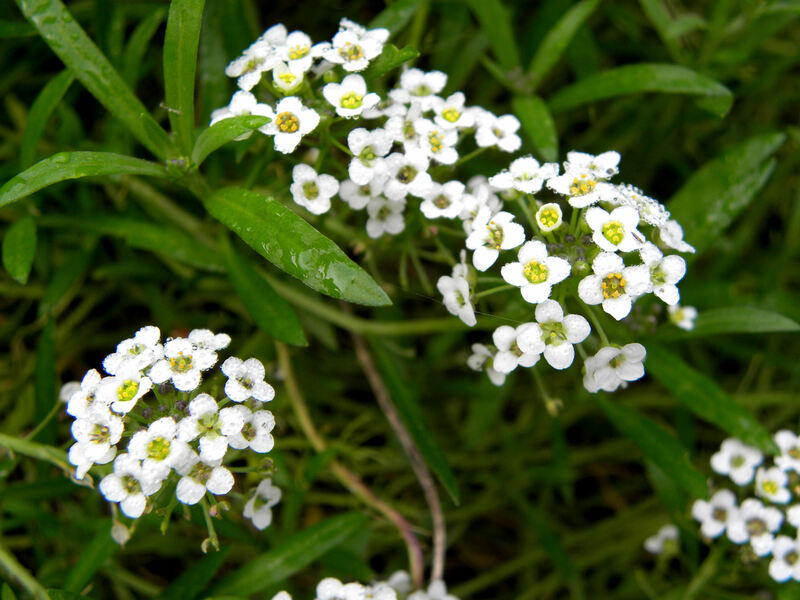 Allysum blooms year-round here, and is a great plant for attracting hoverflies, bees, and butterflies. I got this Dendrobium orchid as a cutting from a friend, and just love it. It blooms all year long. 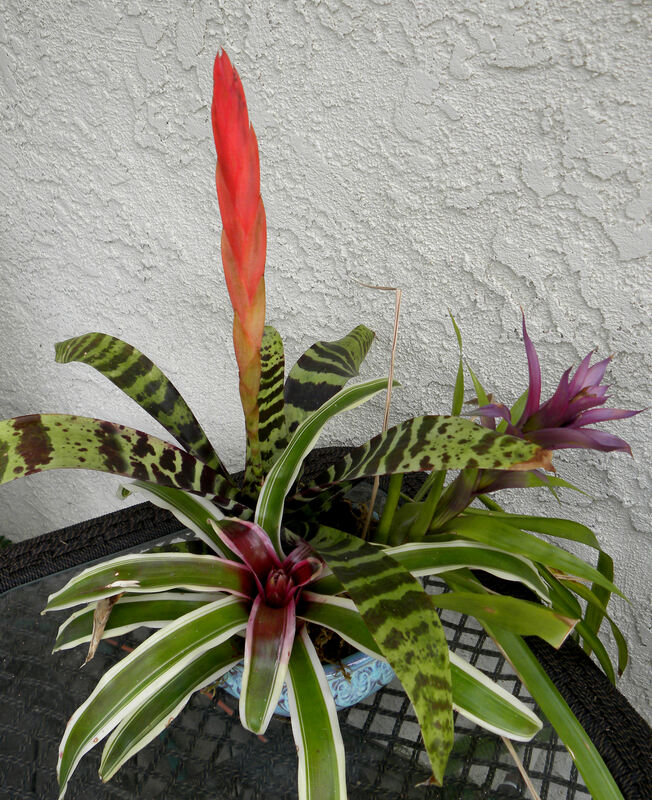 This container arrangement of bromeliads is about to bloom. 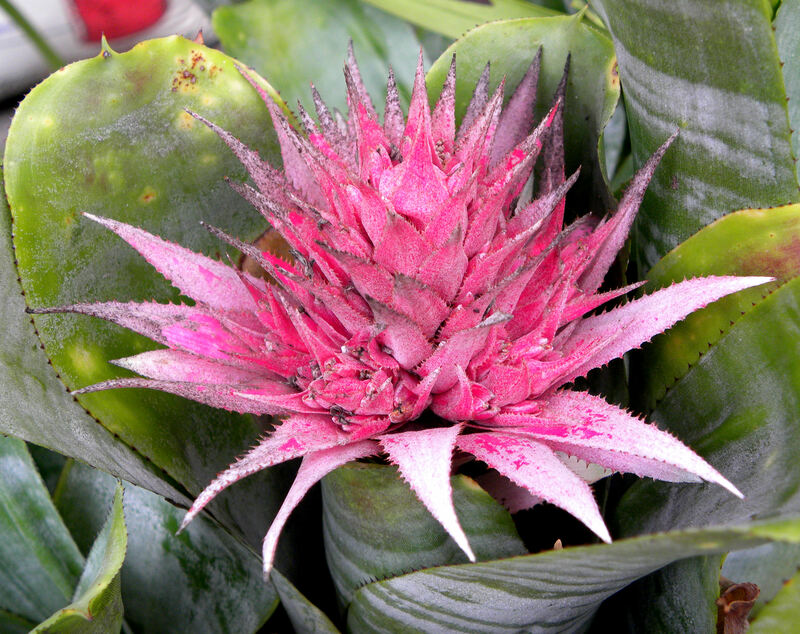 These bromeliads grow like weeds. I have a number of them to repot. They bloom only from new shoots, so repotting is a constant task. One of my poinsettias is finished already, but this icon of winter is still attractive enough to keep. Darned if I can remember what this fuzzy succulent is called, but I just love it. What do you think? Is it an aeonium, crassula, or echevaria? These jade flowers are showing signs of water damage from all of our rain. 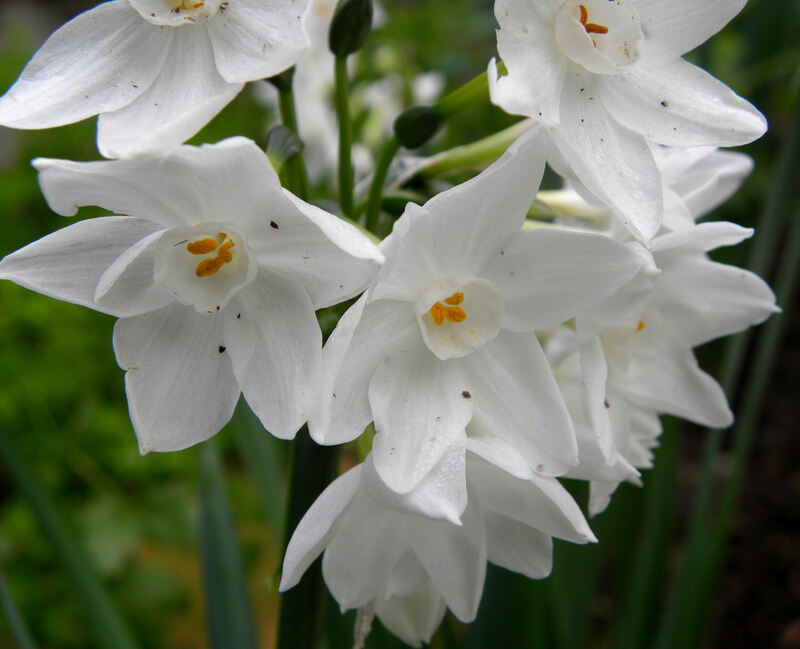 Love these double paperwhite narcissus. I planted rows of them by my raised vegetable beds. 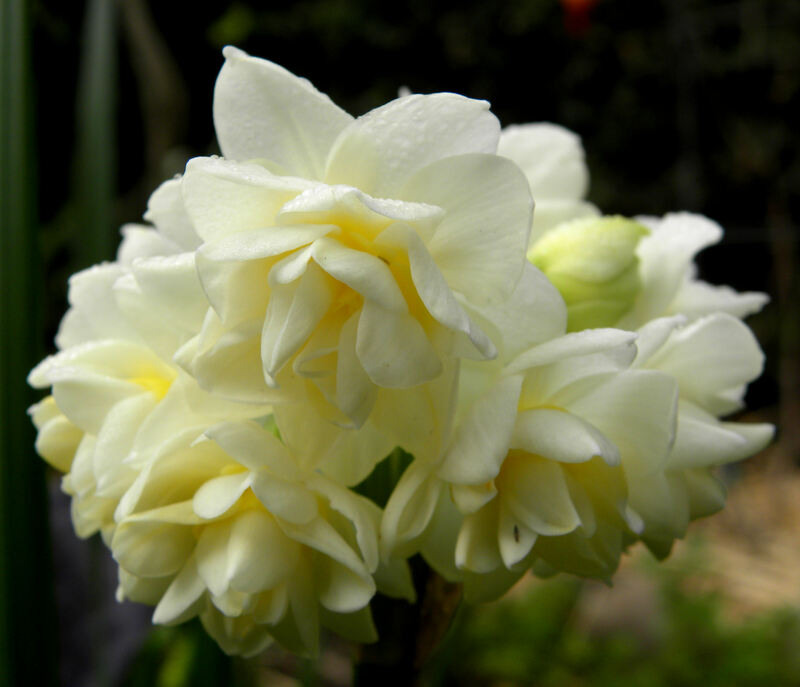 These single paperwhites may have an even stronger fragrance than the doubles. Love them too. 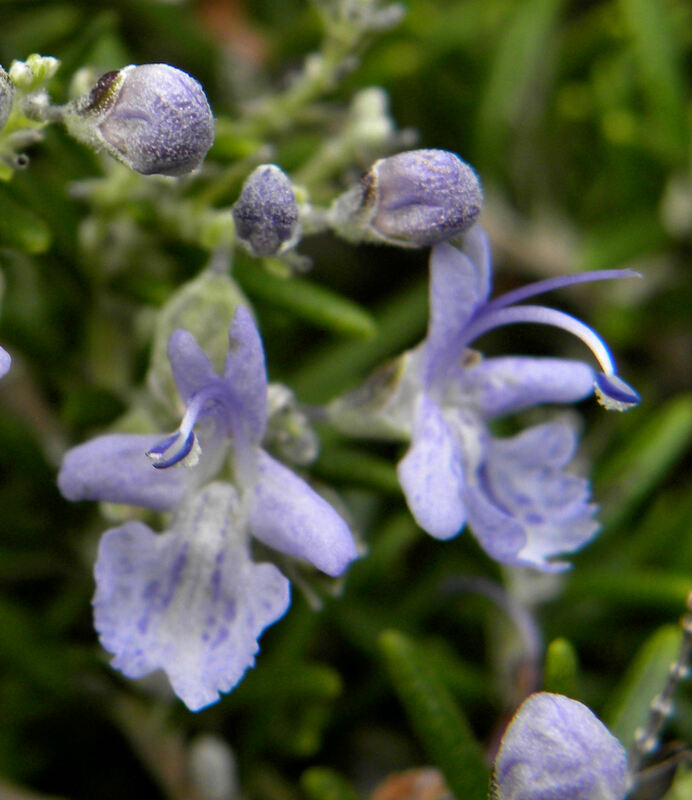 Rosemary blooms year-round here and is great for attracting honeybees. 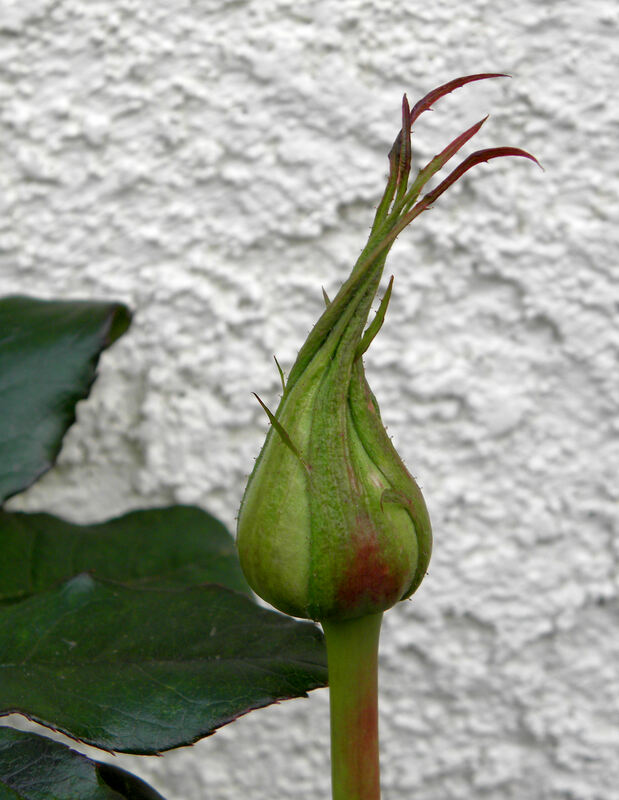 Yippee, my first rosebud of spring. It will be February before it opens though. These Nemesias are among my favorite yard flowers because they bloom all year long, are drought tolerant, and reseed themselves. 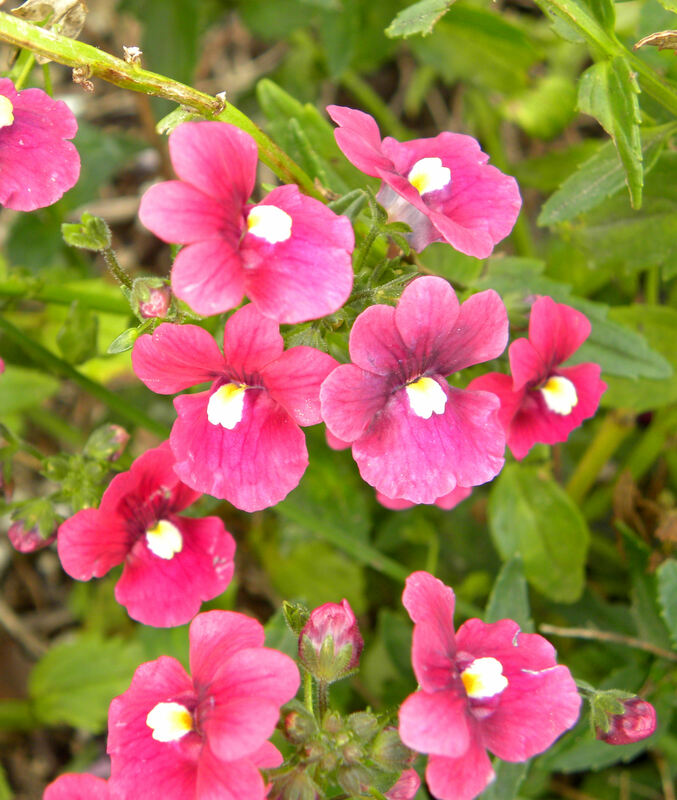 Unlike my purple Nemesia, these raspberry Nemesias are hybrids and aren't as likely to naturalize. My Florida Prince peach is the first to bloom. I've had it three years, and this spring it has 300 blossoms on it. I'm hoping for a good crop, but I know better than to count my fruit before it sets. 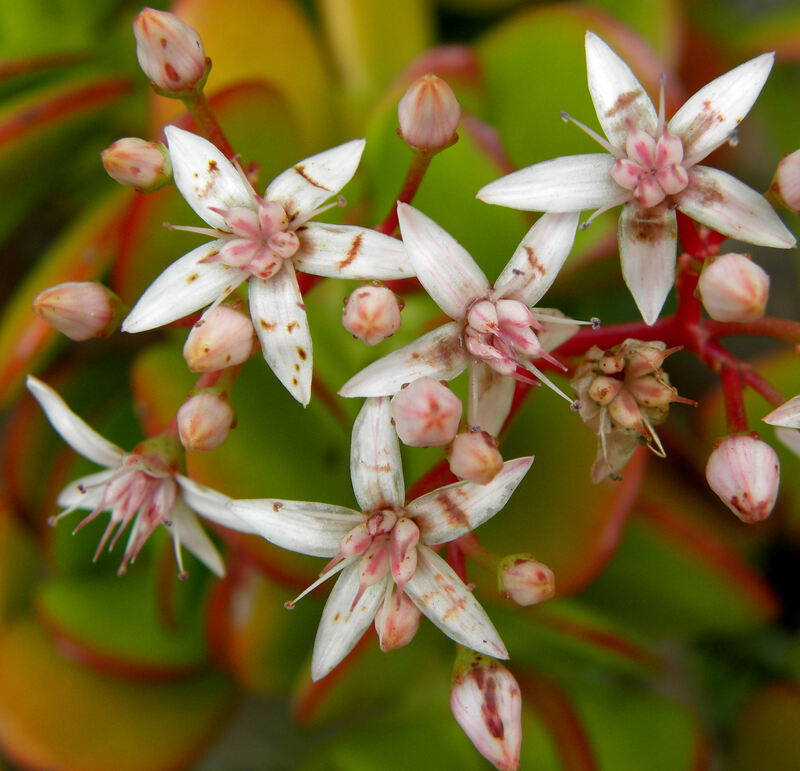 This Crassula naturalized in my yard from the neighbor's containers. 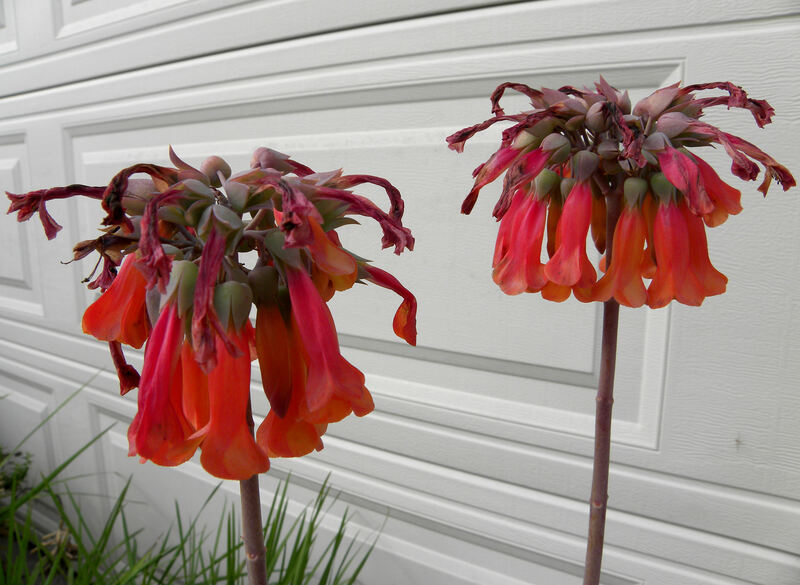 I just love its exhuberant flowers and keep many pots of this succulent growing all the time. My dwarf Eureka lemons are showing new buds. No flower buds yet on my orange, lime, or Meyer lemon trees. 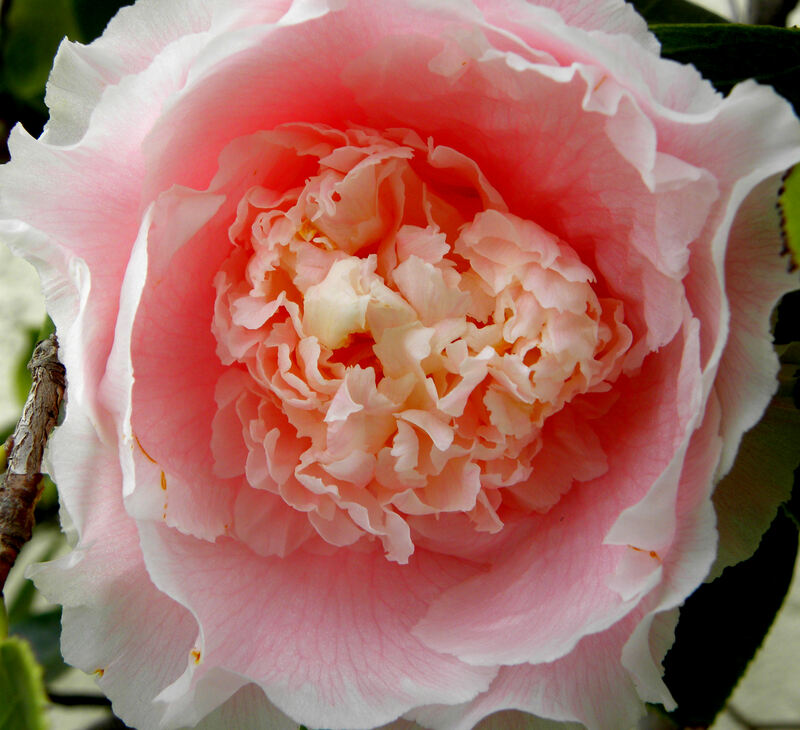 My camellias bloom in January and February, and are among my favorite harbingers of spring. 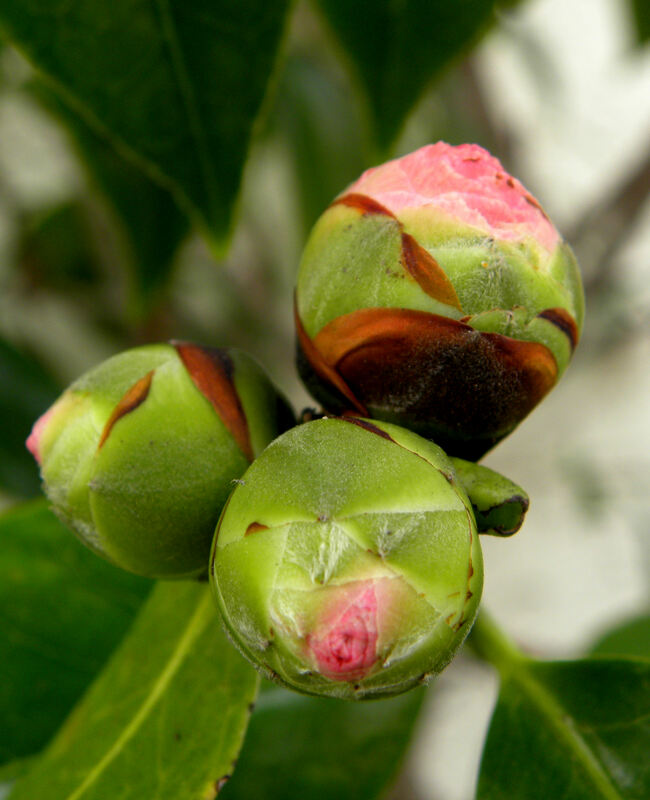 I have three different Camellias. This one is more salmon colored. 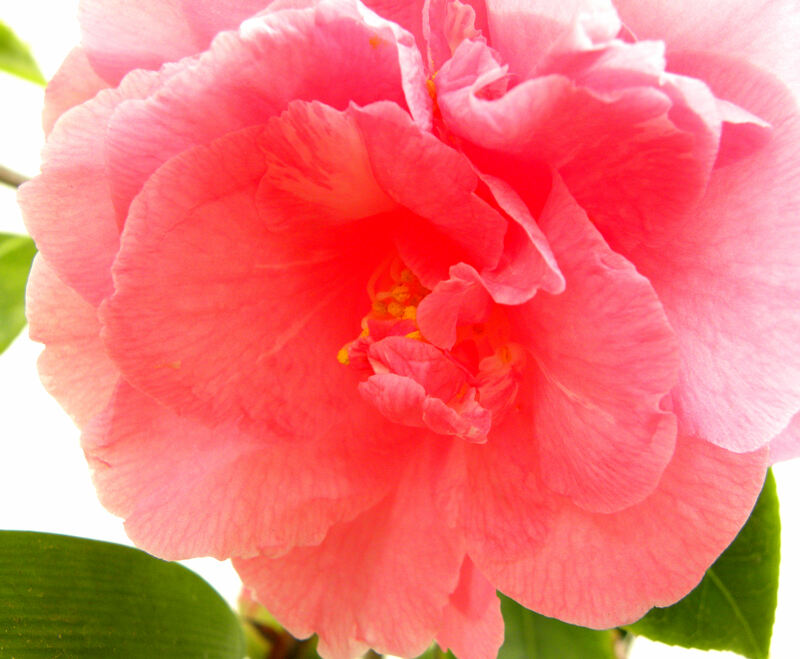 The third Camellia blooms later than the other two. 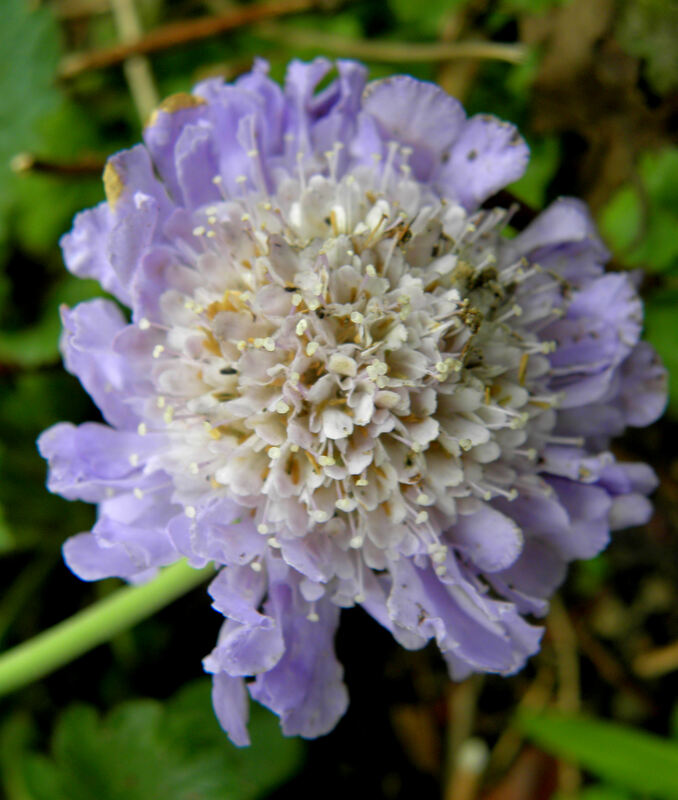 I adore these Scabiosa blossoms. They're new to my yard, so I'm not sure how long they'll stay in bloom. 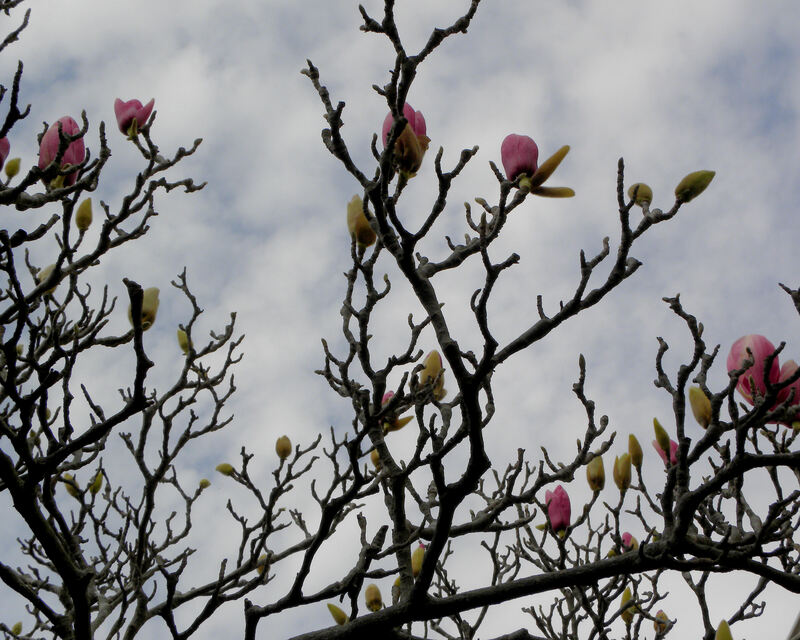 A small pink-flowered Magnolia tree on the north side of our house blooms in January and February. 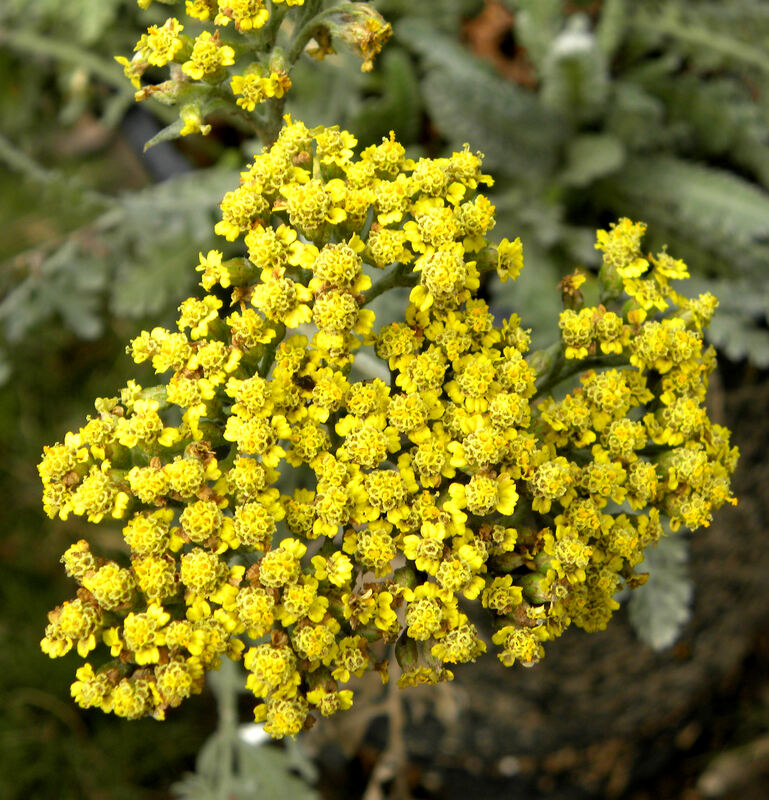 This golden yarrow flower is more of a fall hold-over than a new spring bloom. Butterflies love this California native plant. 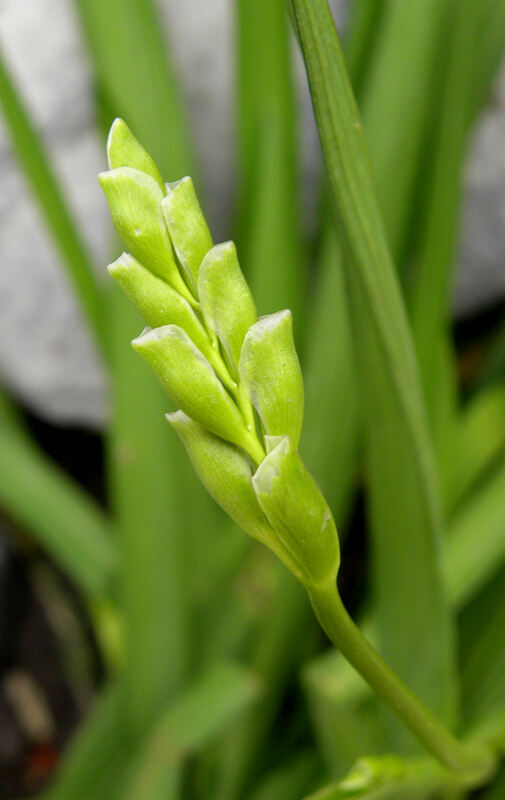 February is when my first Freesias will come into bloom. They fill the yard with fragrance. I can hardly wait. 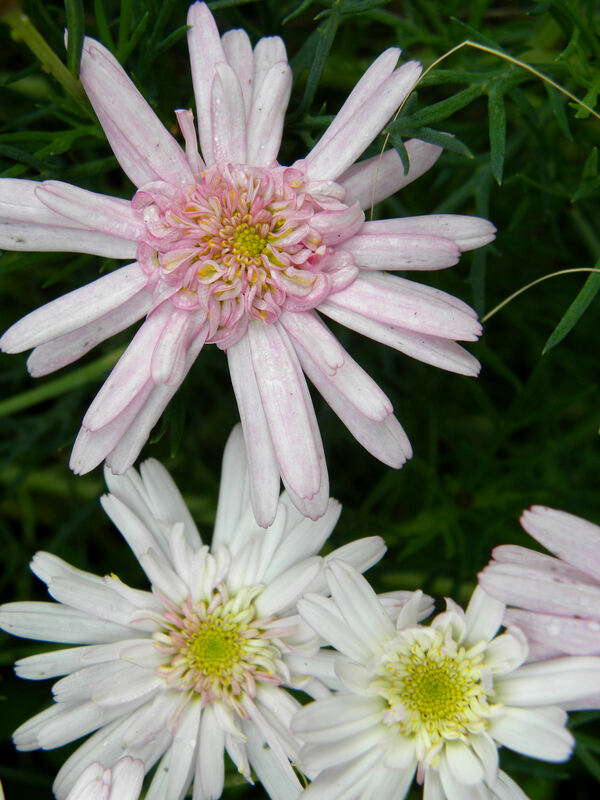 Pink cobbity daisies are just now beginning to flower. They'll reach full bloom next month and will bloom all summer. 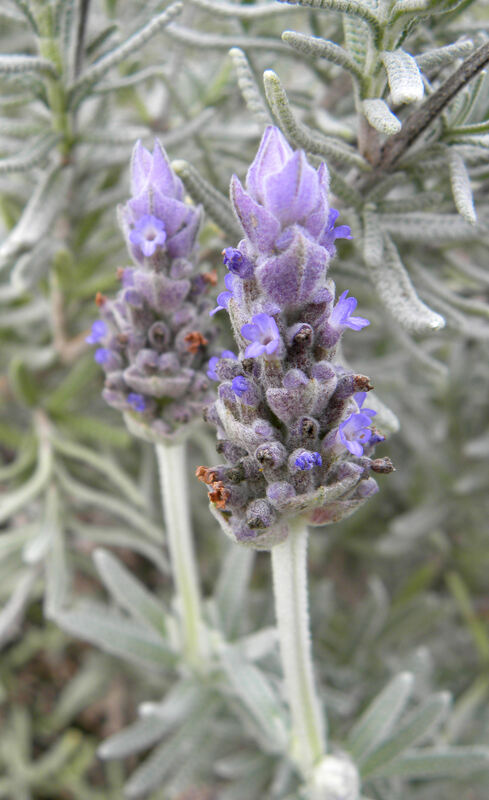 Lavender blooms all year long in my yard and is a great attractant for bees and butterflies. I have two varieties of lavender in the yard, English and Spanish, but I forget which is which. 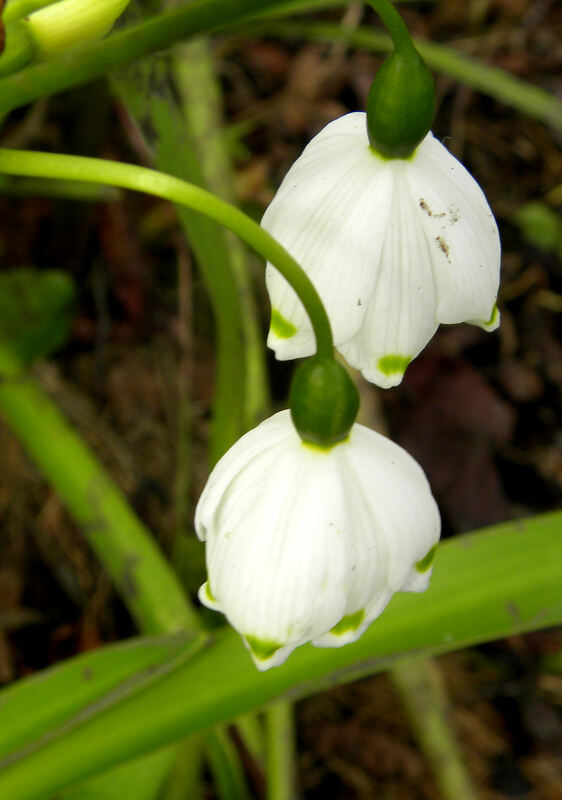 Snowdrops bloom in January and into February. I planted them by the pond in front. 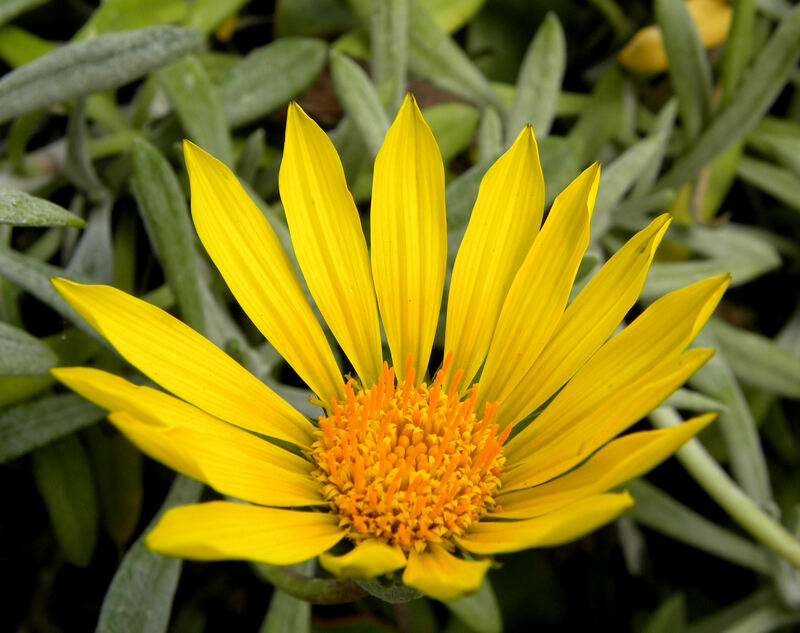 Gazania is a drought-tolerant plant from South Africa. It blooms all year long, but does better during the hot months. 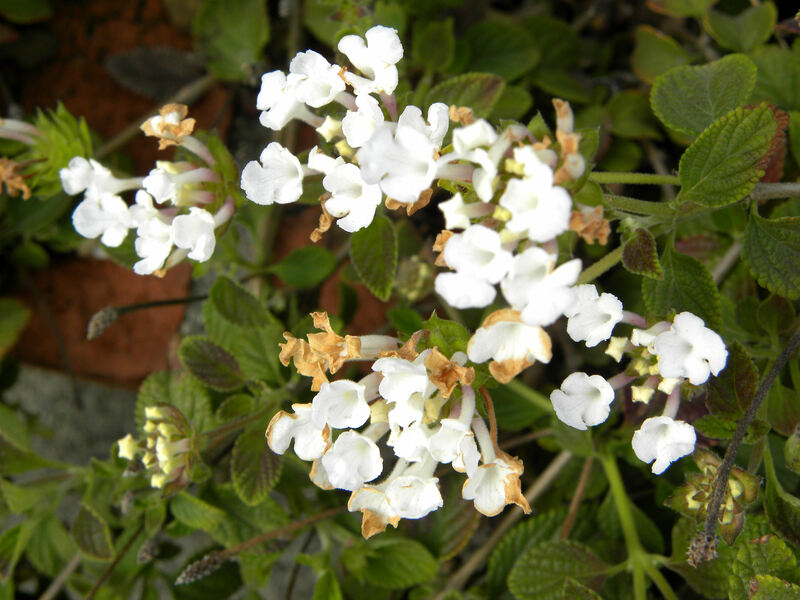 Lantana is drought-tolerant, blooms all year, and is great for attracting butterflies. 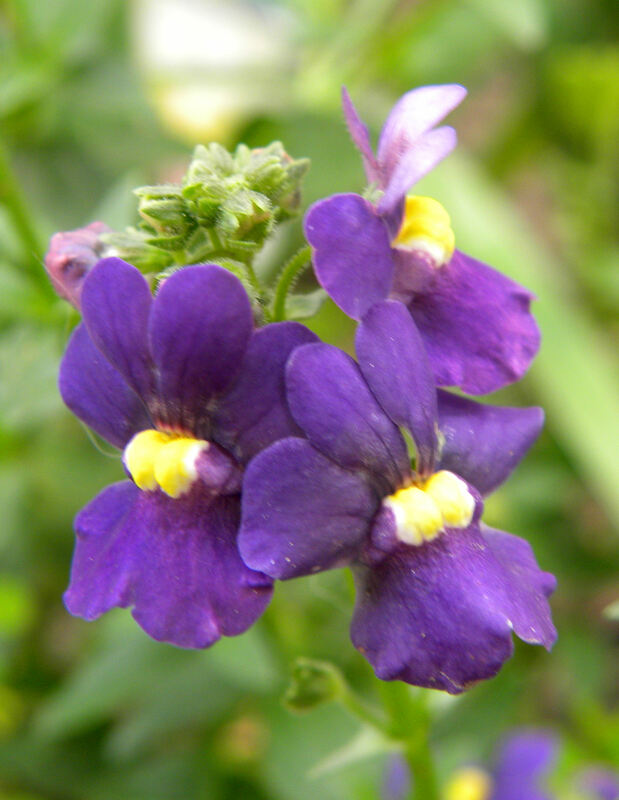 There are over 20 different kinds of plants in flower in my yard in late January, most of them drought-tolerants. Many of them are in my yard to provide pollen and nectar for bees and butterflies. A professional landscaper would probably gasp in horror at my layout (notice that I didn’t show long shots, only closeups), but I’m not planting for them. I plant for the wildlife and my own pleasure. Hope you enjoyed your visit to my January flowers. 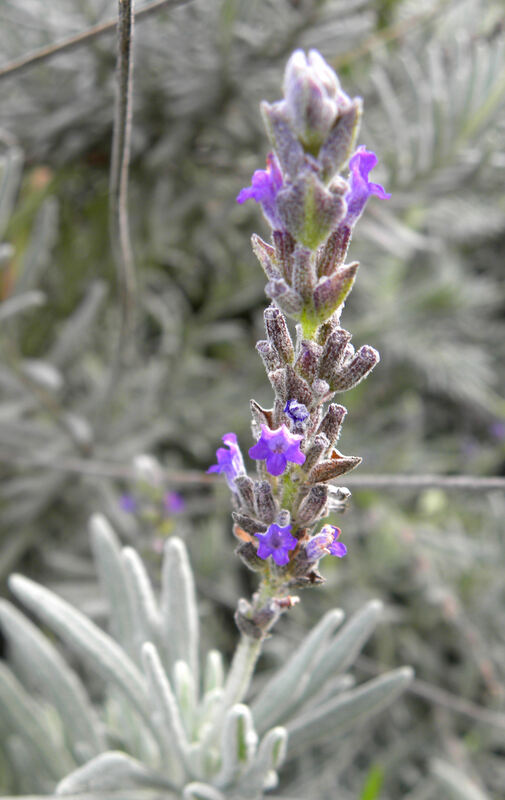 This entry was posted in Uncategorized and tagged flowers, garden, photography, photos, southern California. Bookmark the permalink. Come visit *my* flowers at billnoble.wordpress.com? 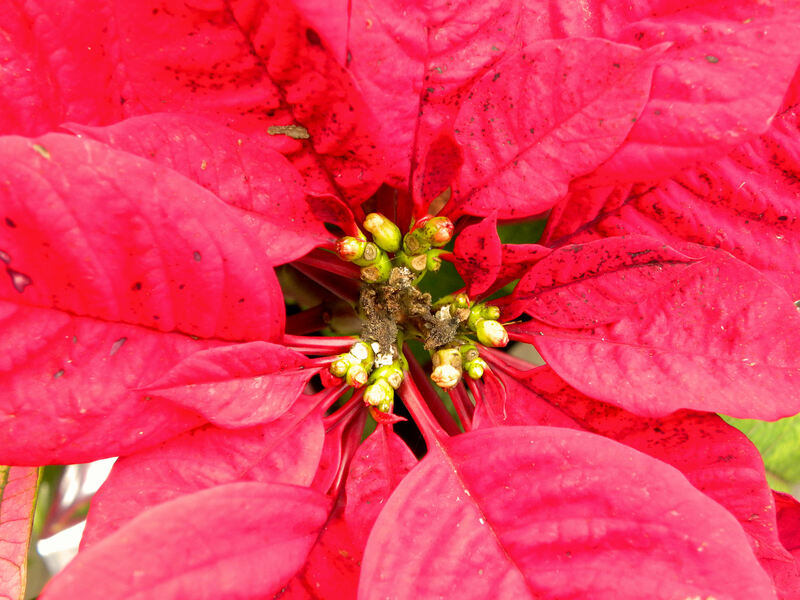 Lovely photos of your flowers! 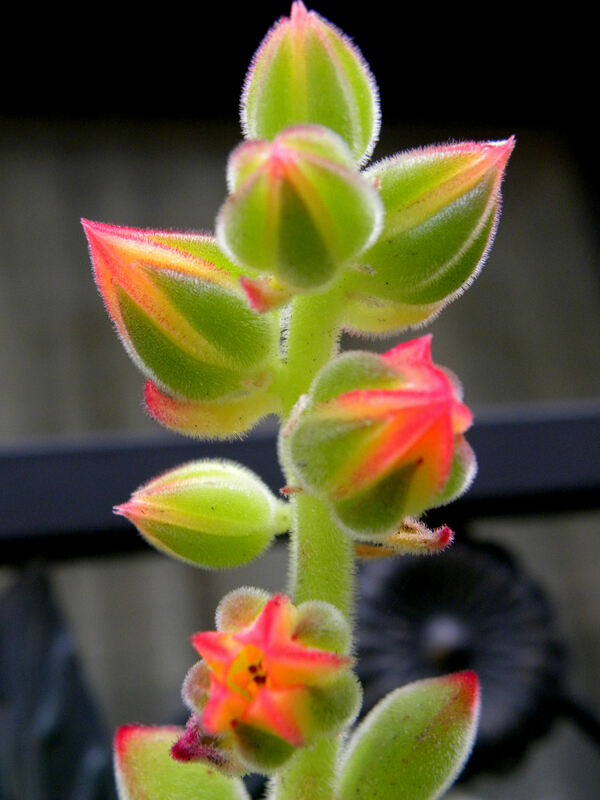 The excellent shots of the fuzzy succulent you can’t remember is an Echeveria pulvinata. Oh, my, Rosemarie, it must be Mother of Thousands. The things are EVERYWHERE. But I like them. 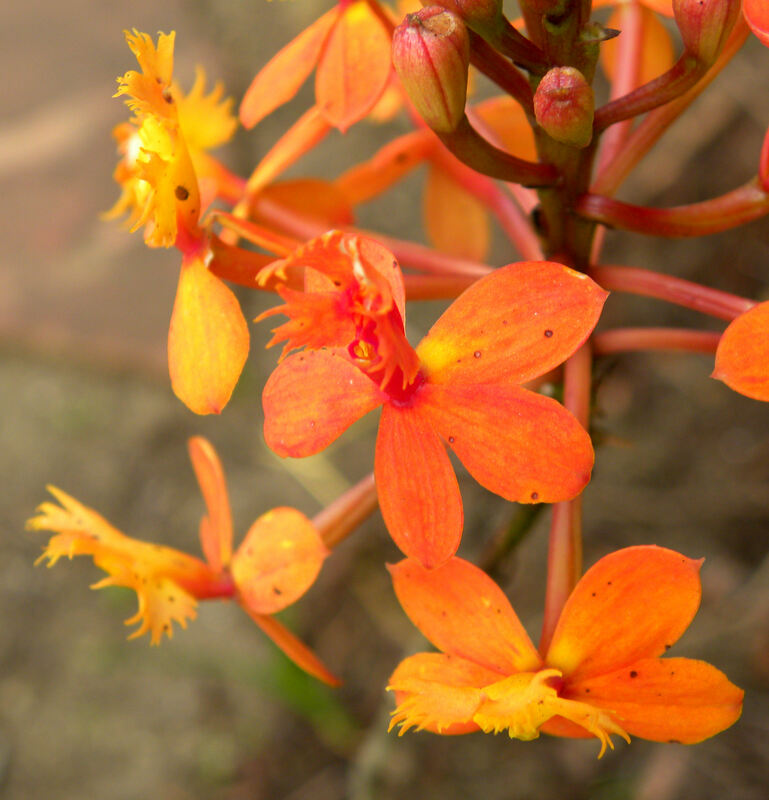 They make pretty flowers and take very little water, a real plus in our near-desert climate. Hi, love the photos. 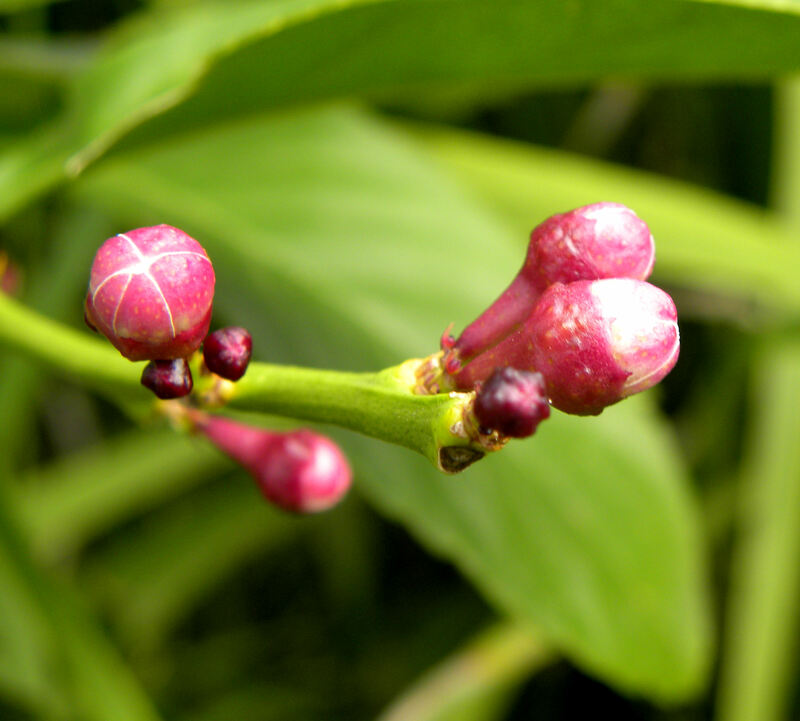 I was wondering if it would be possible to use the shot of the fresia buds for the annual review I’m designing for the non-profit I work for. The theme of the review is growth and this photo would illustrate/decorate it beautifully. Please let me know if this would be possible and if so under what conditions. Nine years on and your page’s still renders great service! 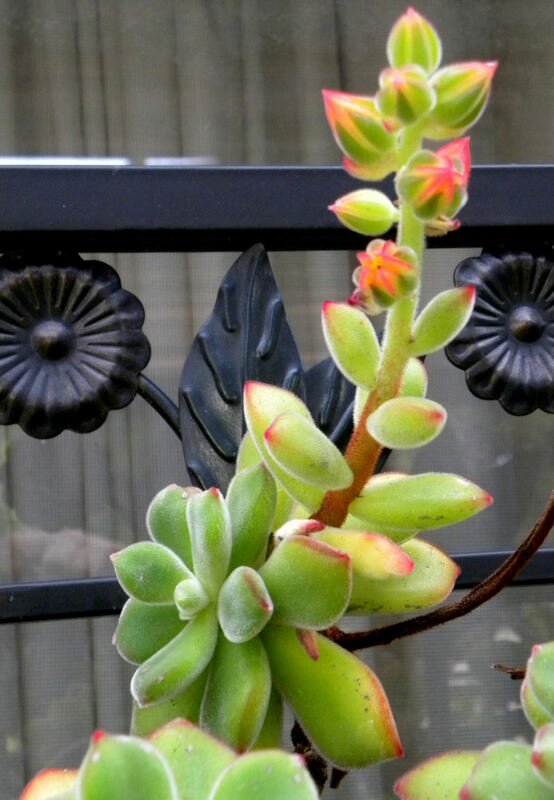 Thanks to you (and Rosemarie) I now know the name of the “mystery” succulent that’s been breathing life to my balcony for years — the Echeveria pulvinata.